Arriva are delighted to be working with CrossCountry to offer you a simpler, more streamlined way to travel to Berwick-upon-Tweed, Belford, Seahouses or anywhere in between. New ‘Belford Bus’ and ‘Seahouses Bus’ tickets mean you can now make your rail and bus journeys with just one ticket! Hop on the train from your chosen railway station to Berwick-upon-Tweed and jump on one of Arriva's MAX X15 or X18 buses from outside Berwick railway station to your end destination. Simple. Advance, off-peak and anytime tickets are available to purchase from ticket offices or through online booking websites, including the CrossCountry website. When buying tickets online, simply select 'Belford Bus' or 'Seahouses Bus' as your destination. Where can I go on the bus with my ticket? ‘Belford Bus’ tickets are valid on Arriva's MAX X15 or X18 buses between Berwick-upon-Tweed railway station and Belford and vice versa (or any other stops on this section of route). ‘Seahouses Bus’ tickets are valid on Arriva's MAX X15 or X18 buses between Berwick-upon-Tweed railway station and Seahouses and vice versa (or any other stops on this section of route). 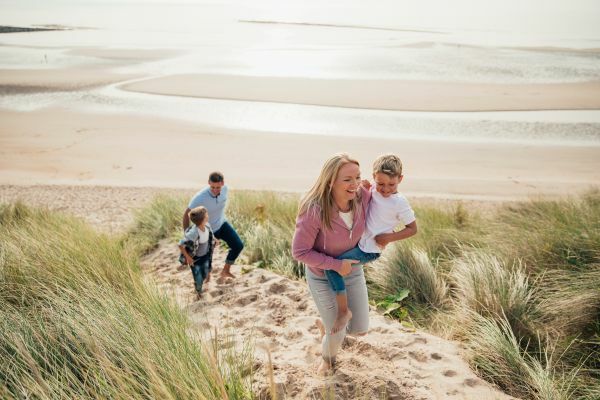 Arriva's MAX X15 and X18 services visit some of the most scenic locations in Northumberland and you can get unlimited travel ALL day for you and the family with their Regionwide Saver family ticket for just £13.50! New to bus travel or unfamiliar with the area? Allow Arriva to help! With Arriva's m-ticket app you can download tickets straight to your phone!